Wow thatss a big map. Why are there rocks at the 4th / 5th? Is going out of your main area not punishment enough to take those bases? I don't understand why there are rocks everywhere, are you aiming for the Dustin Browder award next MotM? I think you should at least consider making some rocks like the gold rocks on Testbug, so they block the minerals but don't block building a main building. That wouldn't be that Terran favored. Pro-gamers are testing this map. If it has problems, I modify. I'm not really a fan of the 3rd base setup. Also I agree with the rock oversaturation. Less rocks please Jacky =D, Although superb Layout and aesthetics. 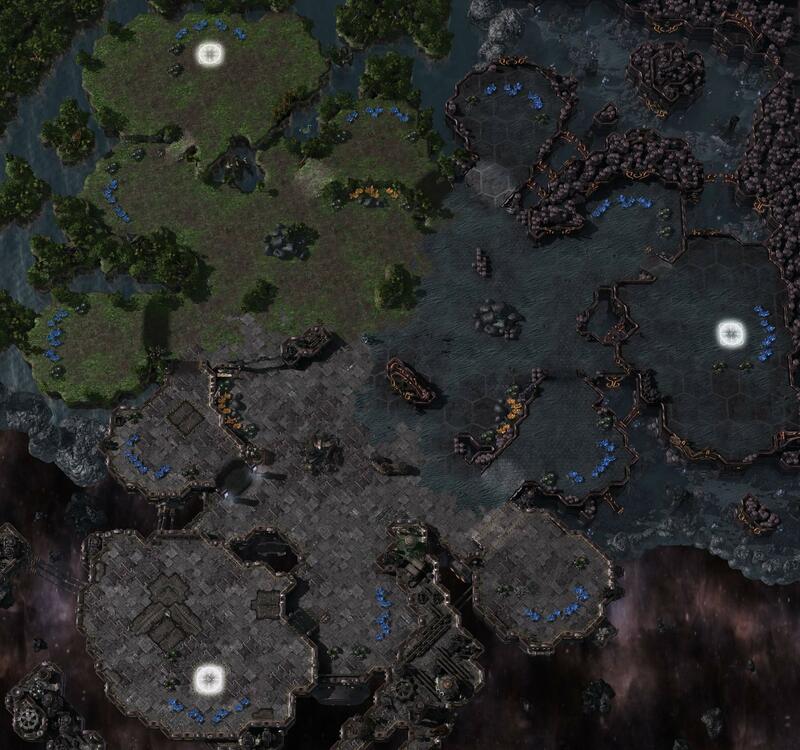 Bumped for being the new GSL map. Looks like a map it is easy to 3 base turtle on, which imo favors T and P over Z. 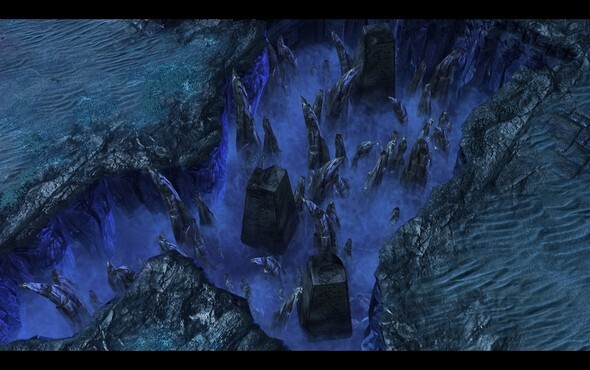 There's a Xel Naga tower conveniently positioned so that there's no surprise attack, and the area for a potential muta harrass is quite small geometrically speaking once the 3 bases are up. I feel for Zerg on here. Pvp is going to be really interesting with the xelnaga outside the nat. There is no Xel Naga outside the Natural. It's just a statue, but from the overhead view it does look like a watchtower. The only tower on the map is in the very center. What is interesting is how every single base can be choked in rather easily. 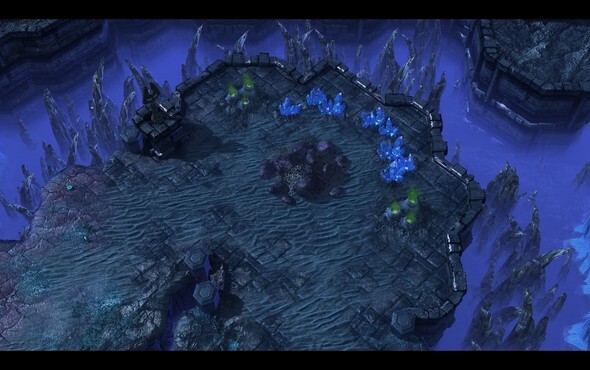 Meaning zerg will have to go either nydus or air as decent sim city can prevent pretty much all flanks. The easily available third I think is kind of good, as we atm we really only get a 2base w/ a choke or a 1base w/ an open natural creating a meta game focused on denying the third and operating primarily off 2 mining bases. 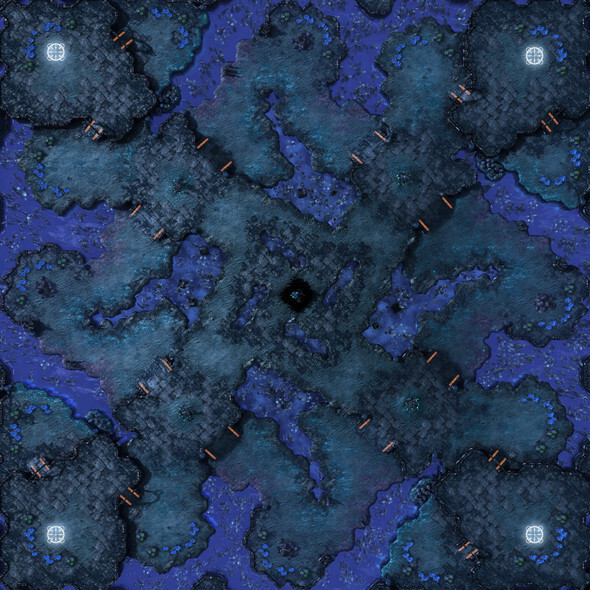 A 3 base map should cause some interesting macro play, however previous attempts haven't been exactly perfect (ie typhon). All in all unless 3 base maps are just inherently imbalanced this helps give us a variety of easy to defend 1, 2 and 3 base maps. Which should hopefully create some variation in play. Like terran trying mech against toss due to the extra income, etc. I want water around islands instead rocks and landscape holes. The map is HUGE. You'd think it would be good for macro, but rocks at your 3rd, 4th and 5th? No fast 3rd for anyone and an annoying hassle for everyone. Should be rocks at the 3rd that's tucked in attached to the main, but not on each side's 4th. Other than that it's a good map. Any map that doesn't have a gold is a huge plus from me. i like the map, they should disable cross position ^^. Because then the zerg can go Colosseum style always. It means once you have your save 3 bases on your side you will take the opposing main, so if the terran or toss attacks the zerg will have way more time to react and the toss/terra will always bring their army out of posi. 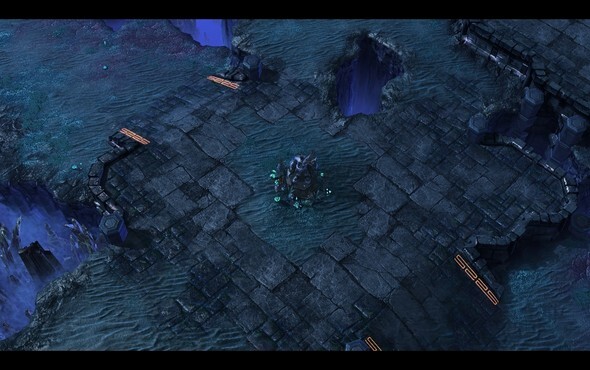 Not seen often in sc2 though so i don't have many hopes especially since nydus is helpful there. 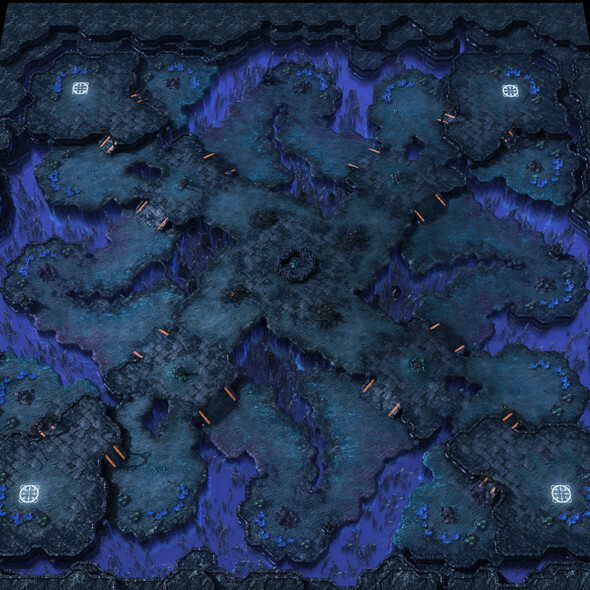 But damn this map is soooooo anti muta and drop x3. Meta game breaker, so i am really curious the playstyle should get pretty different in many matchups. on first look this is like terran heaven. 3 easy bases, even the 4th is kinda easy. only 1 way into the natural + high ground for siege tanks to siege the only way into the natural. i dont think the map is open enough, everywhere u go u have to go through a ramp or a tight choke. Same was said about crossfire. And there weren't even that many attack pathes.